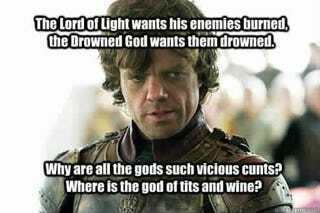 Need Game of Thrones drinking game ideas. As you can see I am all set up for tonight's festivities. One thing is for sure, I am taking a swig every time I see boobies. It's just logical.